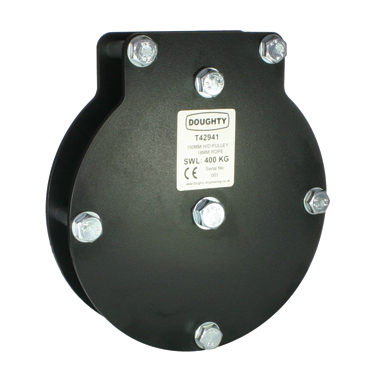 A basic single sheave pulley ready to accept any of our range of fixings. 2. Fixing System required ie. T42931 + T42984 = 100mm Single Pulley (for Rope) fitted with Awning Brackets.